..:recycled minds:..: Views from the ANThill: Prisons for Profit - It's the Law! 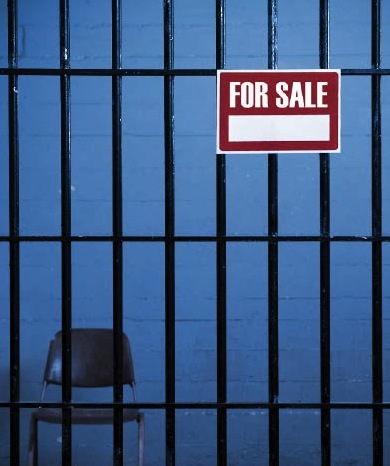 Views from the ANThill: Prisons for Profit - It's the Law! The Arizona immigration law that was passed earlier this year had many around the country in a tizzy. The bill (Arizona Senate Bill 1070) has its share of supporters, while many find it discriminatory and racist. The spectrum of reactions is such that in Florida, Rick Scott is running for governor on a platform that includes a call "Arizona-style immigration law" for the state. On the other end, businesses threatened to boycott Arizona if the law was put into effect. Immigration is a contentious issue in the US - or at least our politicians and news outlets would lead us to believe. A piece from NPR reveals the true motives behind the anti-immigration rhetoric that is bubbling up in the politics and news reports around the nation - corporate profits. NPR has spent the last several months researching the origins of the bill, and found that the executives from the private (for-profit) prison industry had a direct hand in drafting the bill. From a business stand-point, it makes sense that the more people you can imprison, the more money you can make if you're in the business of imprisonment. Thus, the birth of new legislation designed to bring into the prison system the latest of the marginalized and despised groups in the US - Latin American immigrants. While the origins of the bill are certainly disturbing, the details may be downright shocking to some. The bill was drafted during meetings of the Washington group, American Legislative Exchange Council (ALEC). Members of ALEC include state legislators and corporate heads, who come together with at least one goal of writing legislation together. ALEC staff director Michael Hough said of the group: "It's a public-private partnership. We believe both sides, businesses and lawmakers should be at the same table, together." In the case of SB 1070, the partnership included board members from top private prison companies and Arizona law makers. They drafted the bill at the meetings in Washington, and a nearly identical bill became the unanimously passed SB 1070 - although not without some more grease from the prison industry, which NPR found had made donations to nearly all the Arizona legislators involved in the passing of the bill. This is a beautiful model really. A powerful for-profit industry looking for its next big windfall identifies a despised group (illegal immigrants) to attack and manipulate to increase earnings. This during the worst economic times since the Great Depression, along with the support of politicians and some media outlets, and the public follows the lead. Public outcry has led the Arizona bill to be held up in the courts, so this whole plan may never get off the ground. Still, according to NPR: "Corrections Corporation of America executives believe immigrant detention is their next big market." A recent report from Sasha Abramsky of Slate helps explain why a further increase in imprisonment is problematic. Abramsky reports that the increasing division of wealth inthe US - fewer people have more money, while more people have less money - can be linked to the policy shift that introduced mass incarceration and more prisons. Her discussion of a report in the journal Daedalus shows "that once a person has been incarcerated, the experience limits their earning power and their ability to climb out of poverty even decades after their release. It's a vicious feedback loop that is affecting an ever-greater percentage of the adult population." After nearly 40 years of such extreme imprisonment policies, this feedback loop is not just affecting individuals, but entire demographic groups. The demographic groups most affected? Minorities. Reports of the incarceration inequalities of the US prison system are coming out more and more frequently. For instance, Truthout recently ran an article on the topic revealing minorities in California are jailed for marijuana offenses at higher rates than other ethnic groups, despite lower use rates. "African-Americans and Latinos use marijuana at lower rates than whites, yet they are prosecuted for minor cannabis possession offenses in California's largest cities at rates two to twelve times higher than Caucasians, according to a pair of just-released reports commissioned by The Drug Policy Alliance, the California NAACP and the William C. Velasquez Institute." 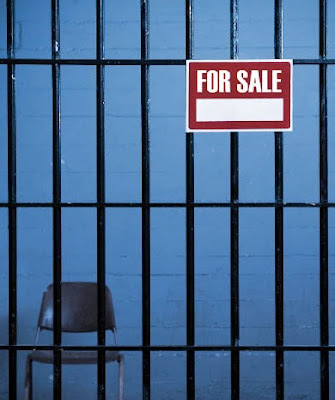 As details about the unjust and unequal prison system continue to emerge, for-profit prisons need to find new populations to keep their bankrolls fat. Enter our friends from Latin America. Our farm workers. Our domestic workers. Our construction workers. Our neighbors. Awesome post. While the idea of imprisonment in general is disturbing, the way profit has commodified people's fears is downright sickening.